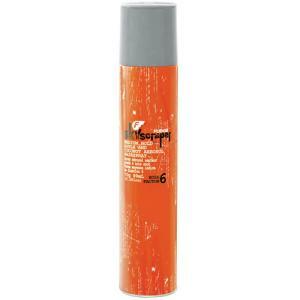 Medium-hold aerosol spray. Finish the job off with this medium hold aerosol spray. Keep it together daily with Skyscraper that brushes out readily and washes out easily. Adds style support, yet remains soft to touch .